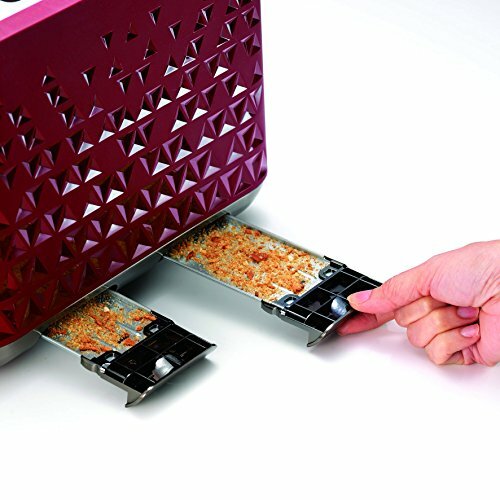 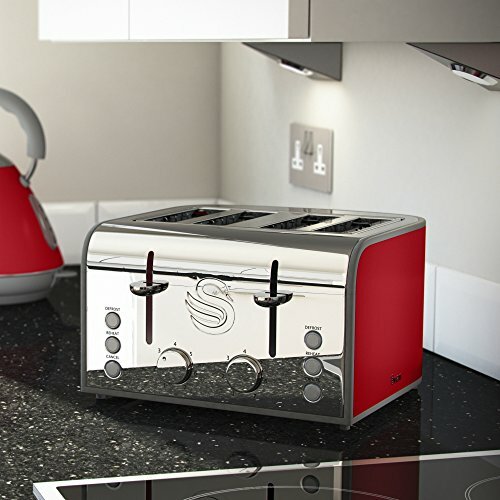 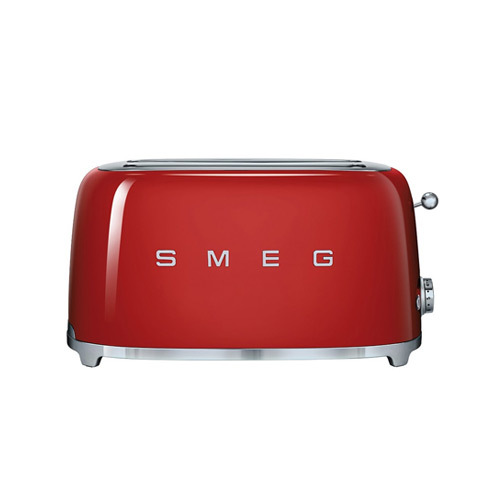 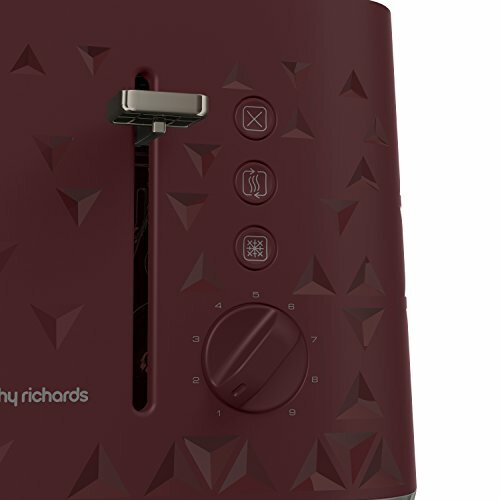 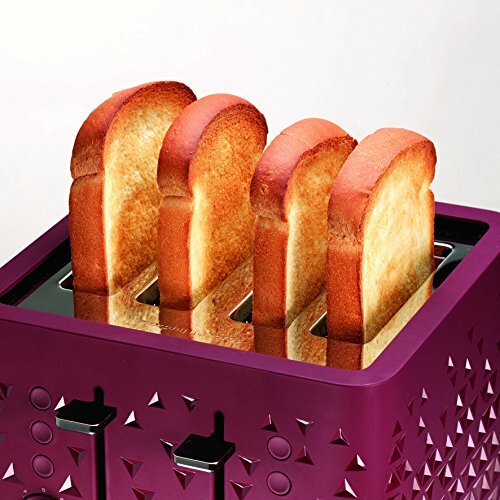 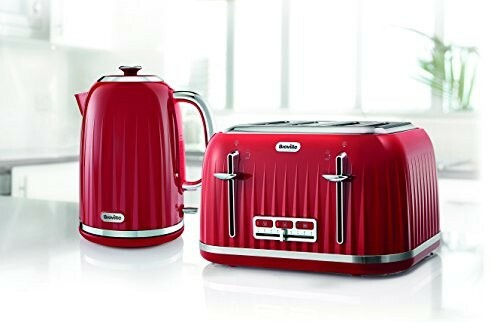 Welcome to our page dedicated to red toasters, if you are looking for a red 2 slice or 4 slice toaster to blend in with your other red kitchen accessories then you will find a number of stunning designs to choose from below. 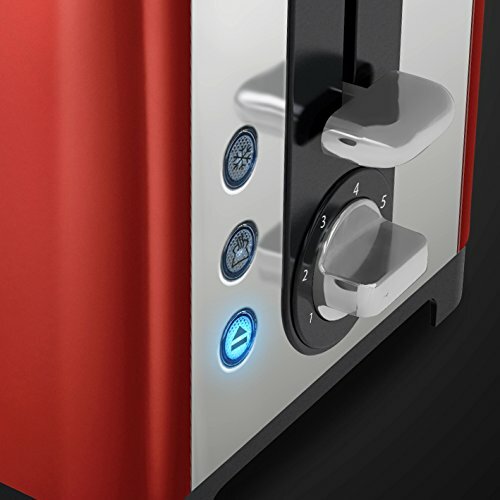 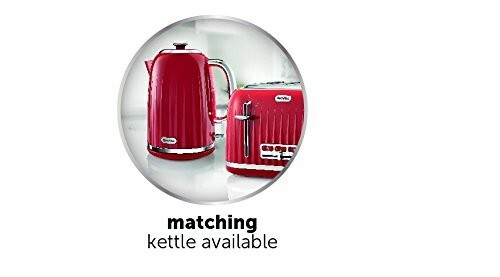 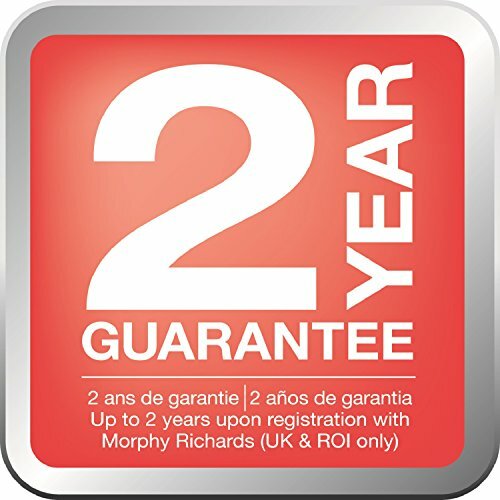 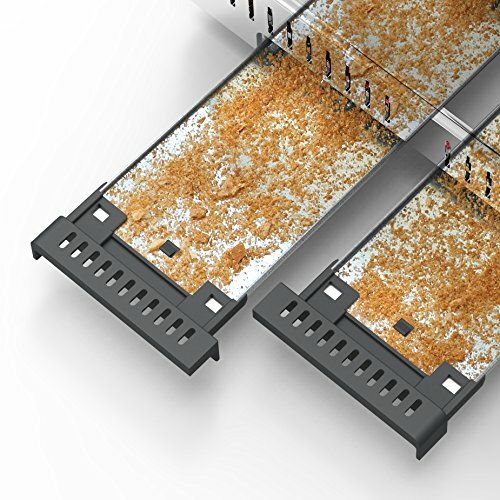 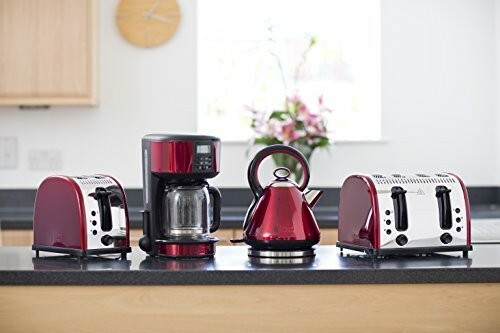 Many of the toasters listed on our site can be paired up with kettles from the same manufacturer giving the consumer a wide range of red kettle and toaster combination sets that are available to buy in the United Kingdom. 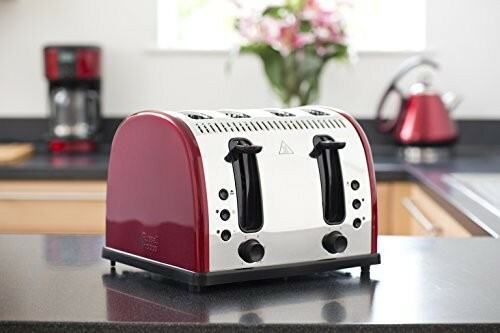 We have a great selection of 2 slice and 4 slice red toasters to choose from that will suit a range of budgets, you can pick up a cheap 2 slice toaster from Russell Hobbs or even a highly rated 4 slice toaster from Prestige for a very low price. 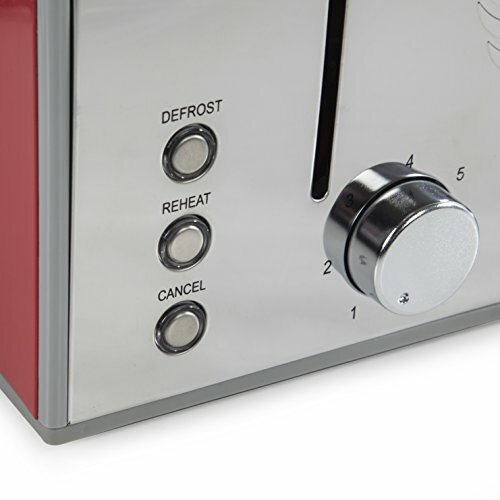 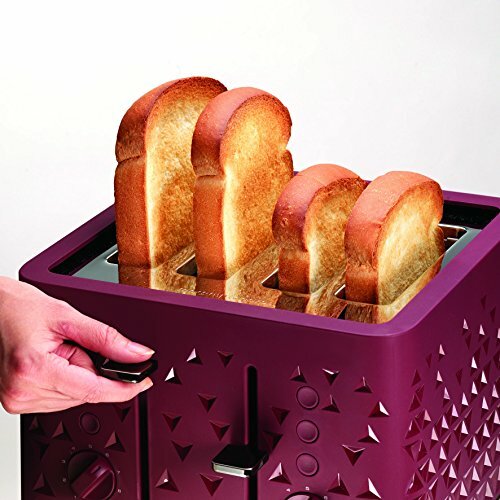 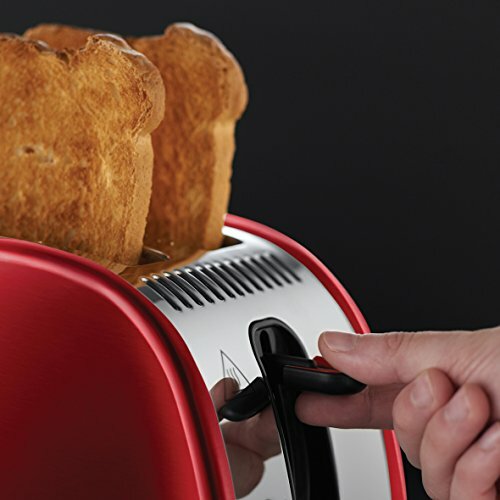 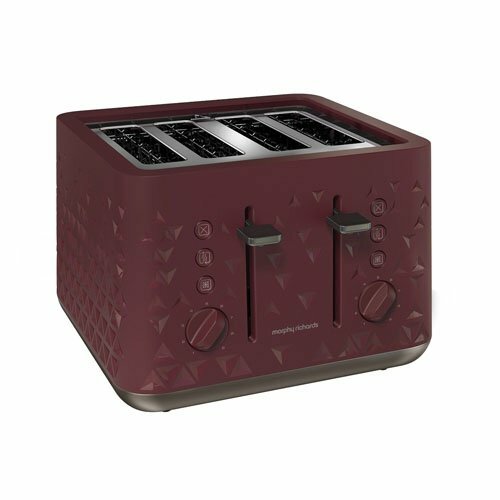 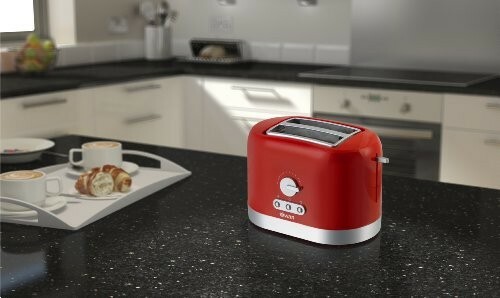 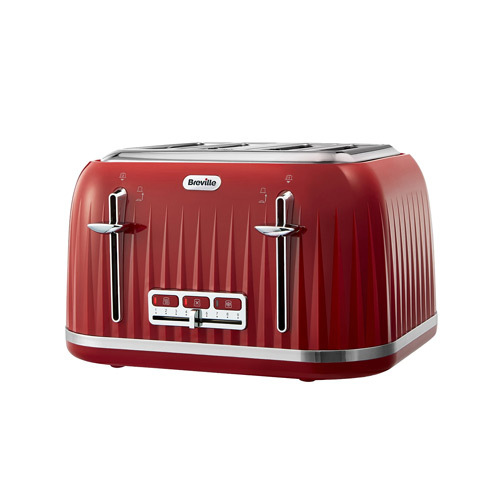 If you are looking for a more expensive and unique red toaster the Dualit hand made range are an excellent choice. 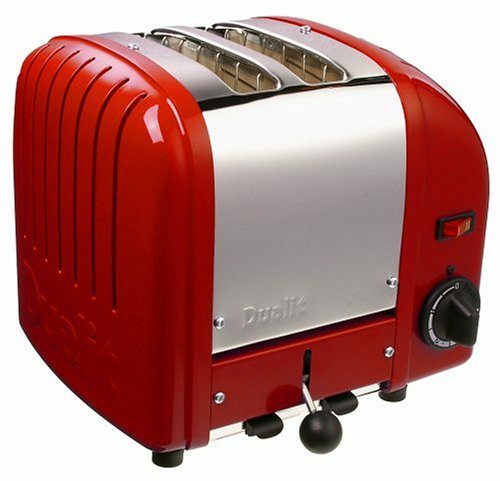 While the Dualit range is not as cheap as many other brands many of the toasters are hand sprayed in the Dualit factory making them a highly personalised purchase that will provide many years of use due to Dualit’s incredibly high standard of craftsmanship. 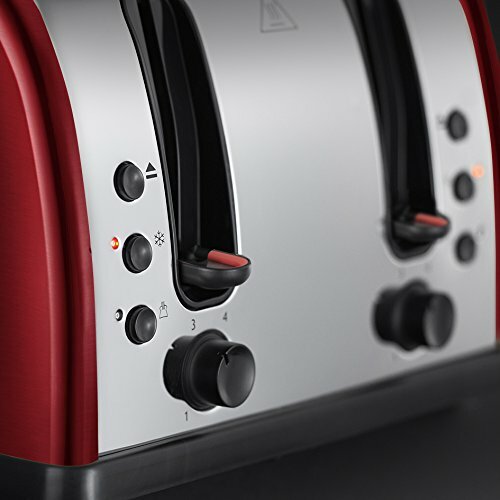 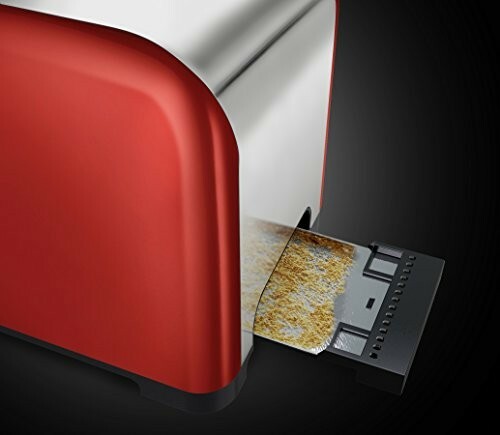 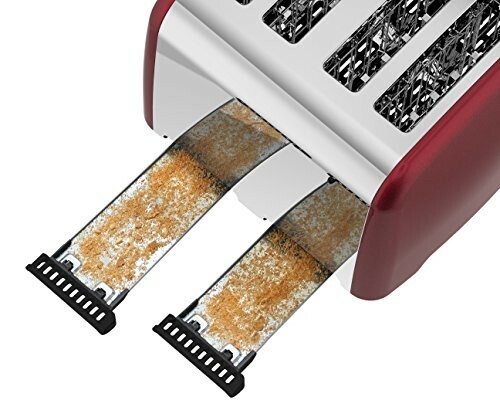 We highly recommend the Dualit range when considering a toaster, we have owned our 4 slice Dualit toaster for many years without any complaints and can assure you first hand that it does an excellent job whenever it is used. 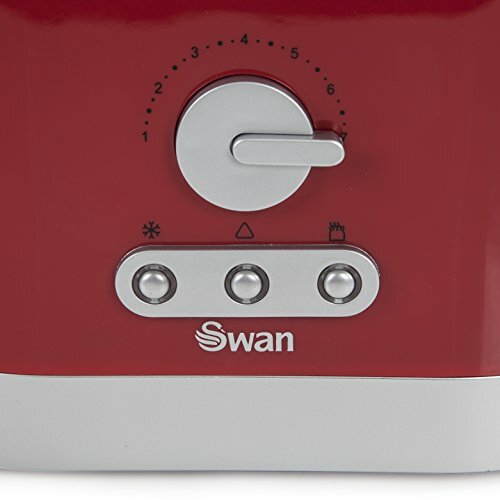 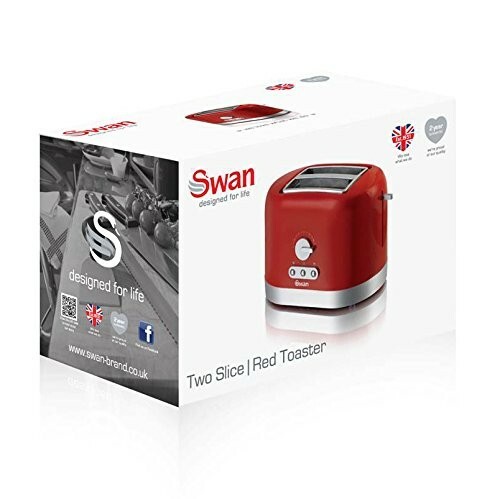 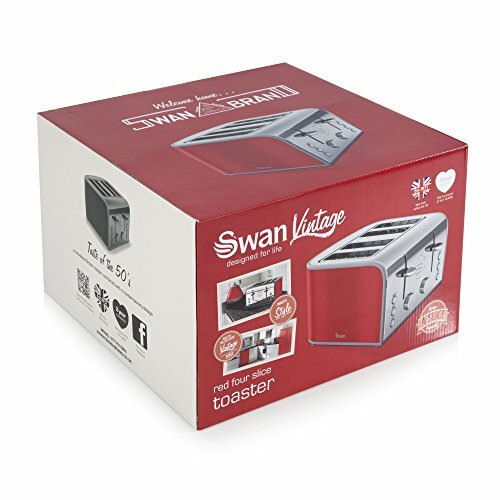 Russell Hobbs and Swan are also highly reputable companies that are highly recommended both for the toasters and kettles that they produce with many receiving very high reviews and providing high levels of customer satisfaction. 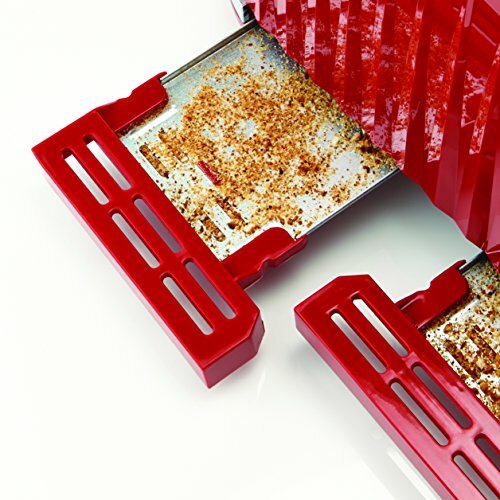 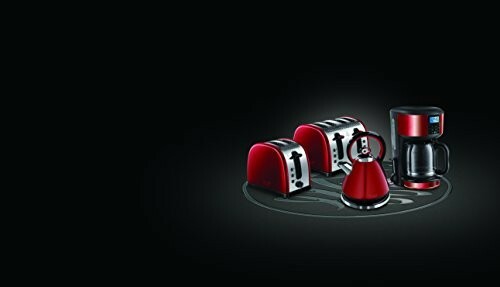 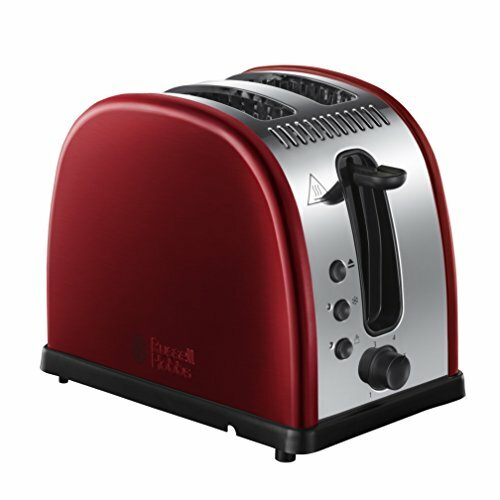 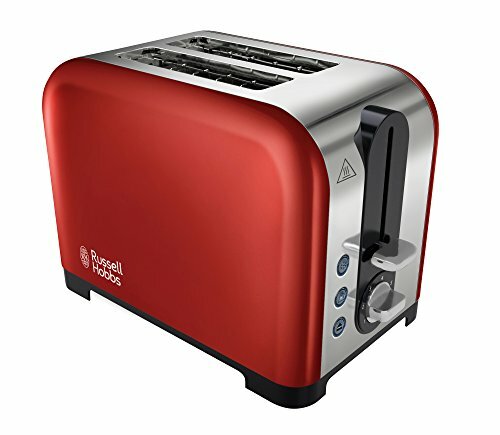 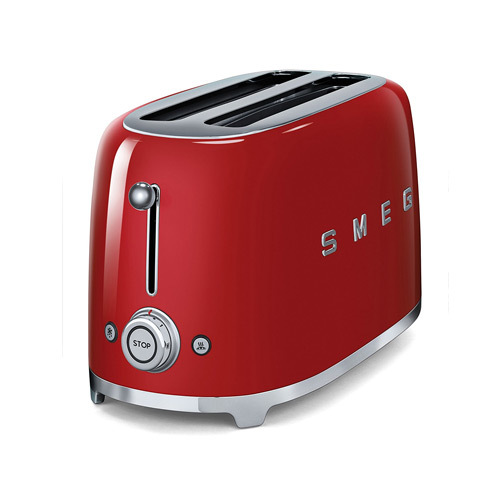 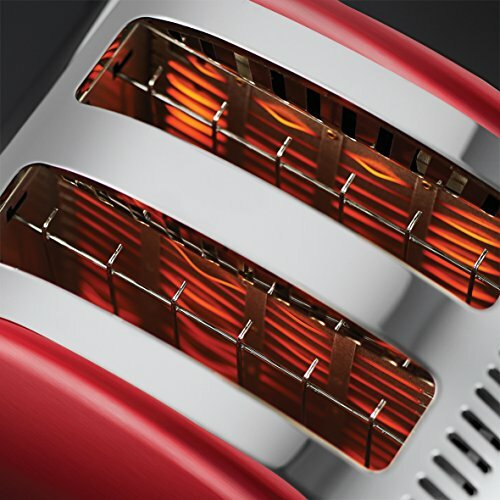 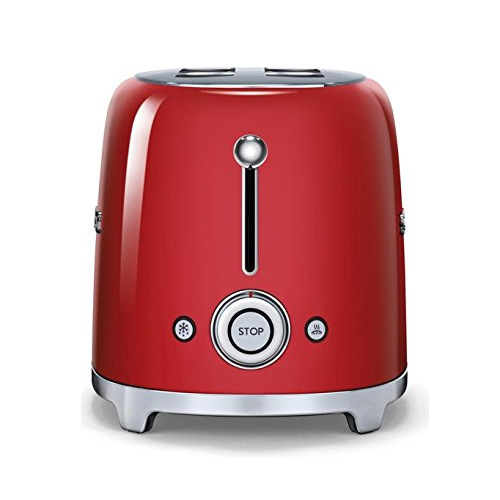 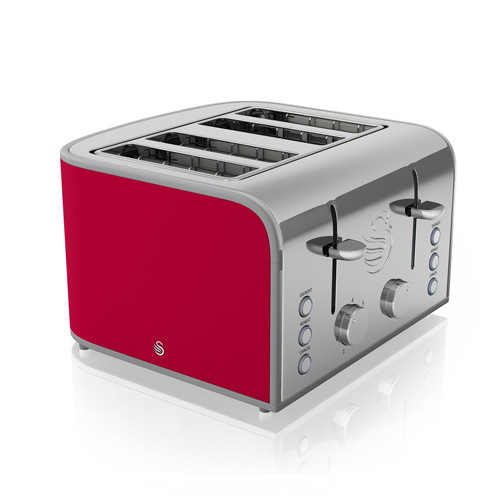 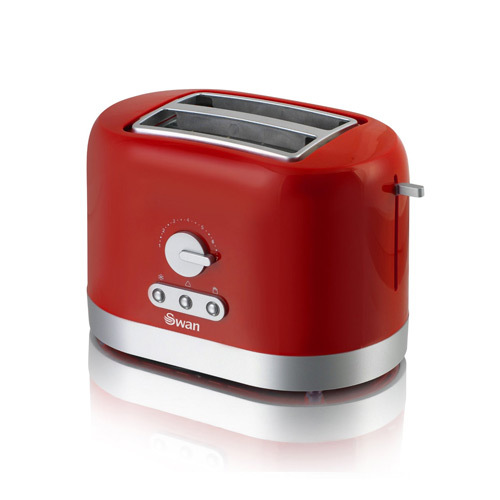 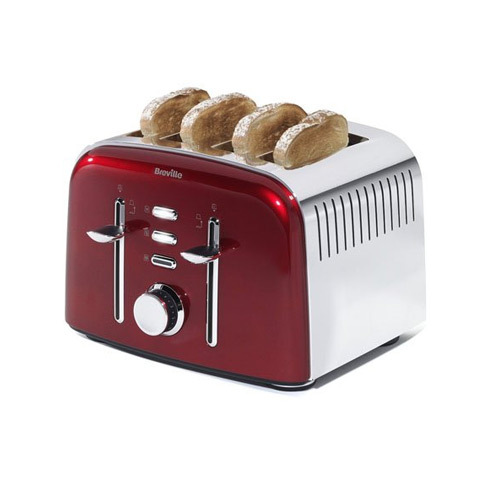 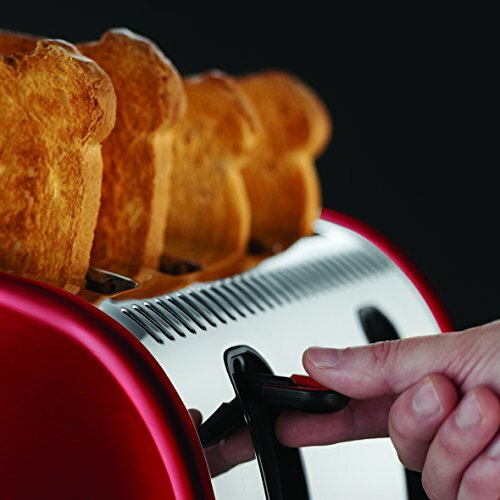 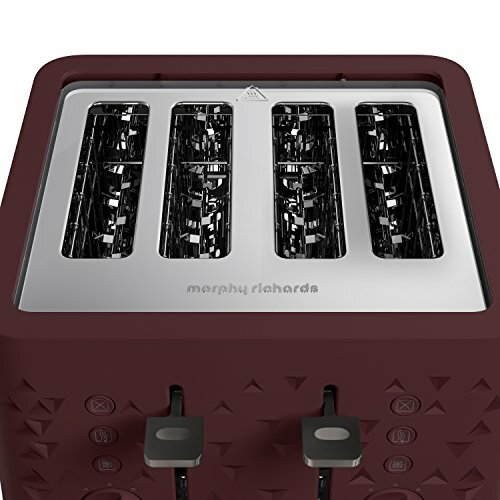 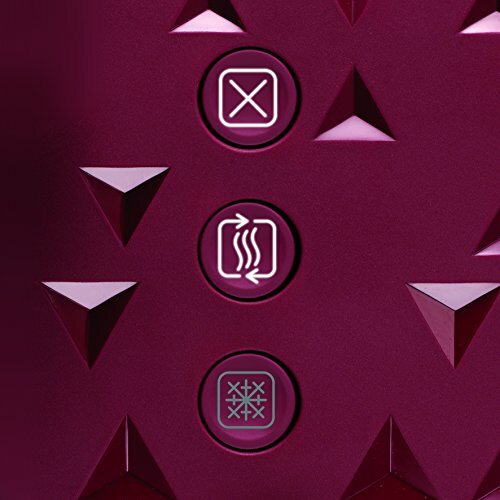 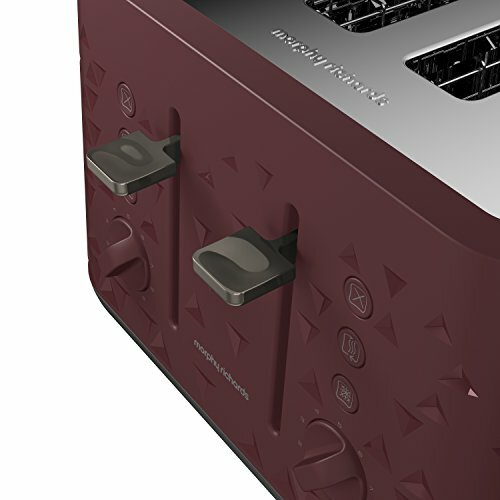 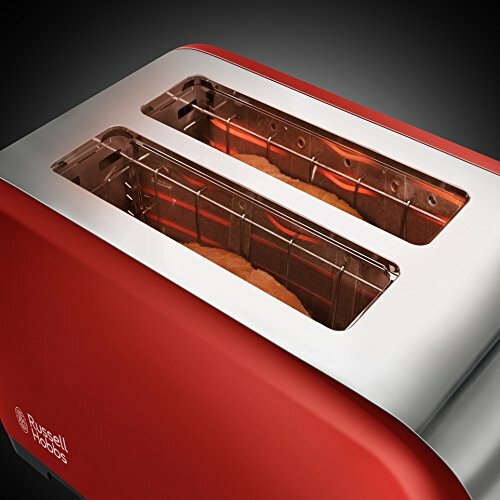 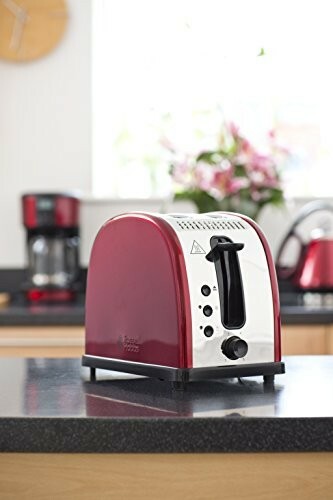 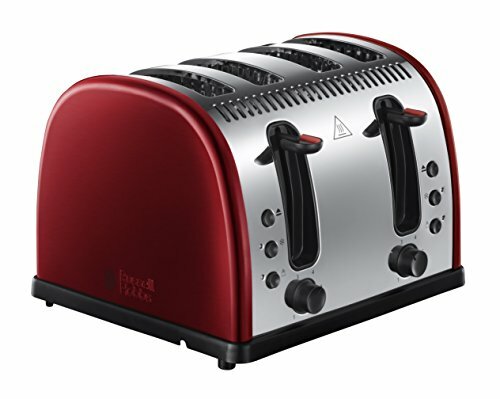 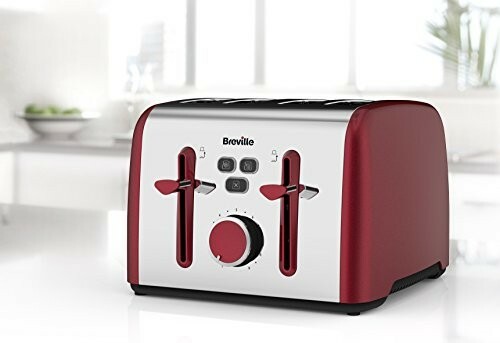 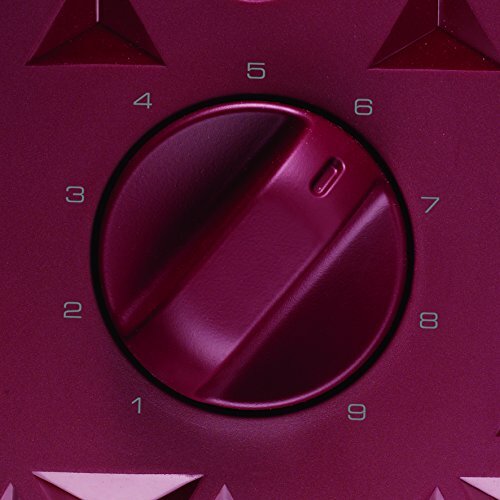 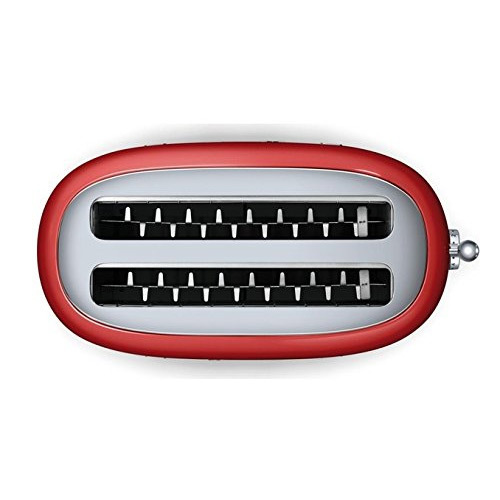 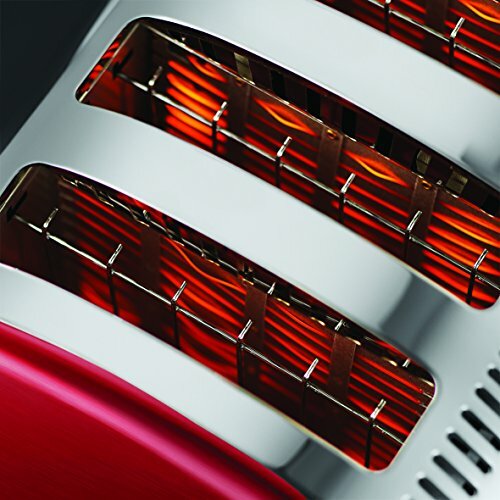 From bright red toasters to deep red and burgundy toasters we highlight a variety of the best red toasters from around the internet from top quality brands that have received very high ratings and reviews. 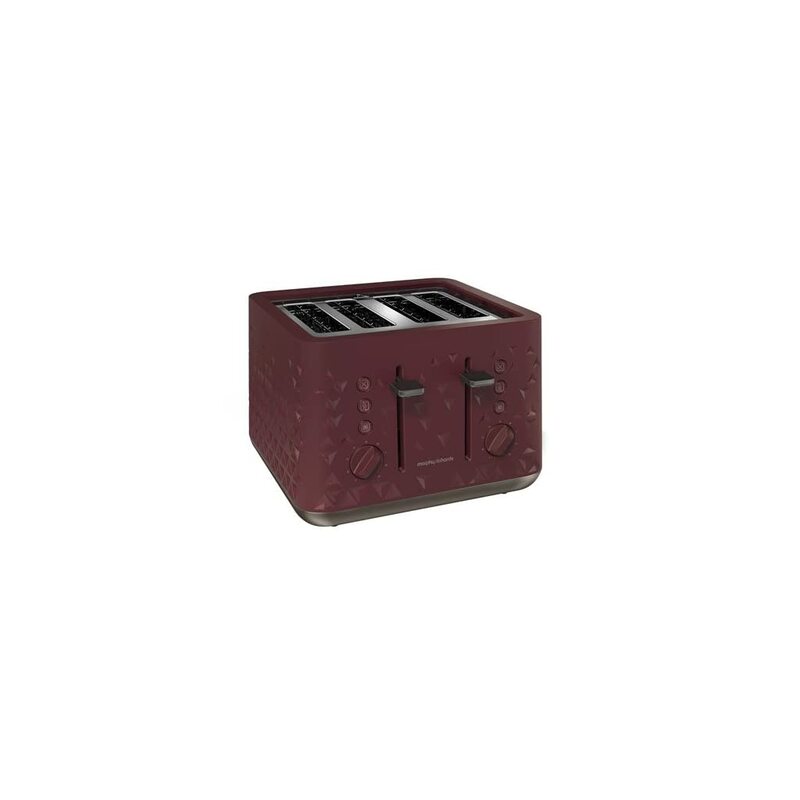 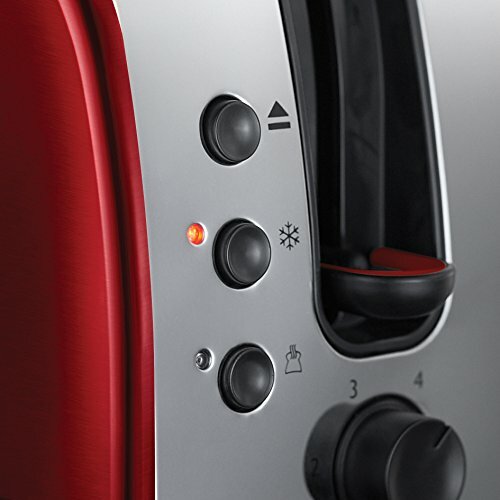 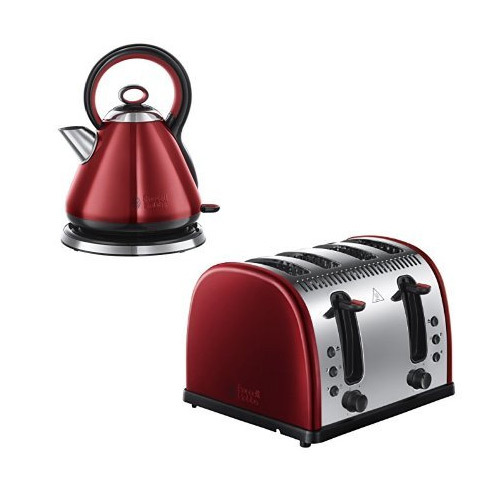 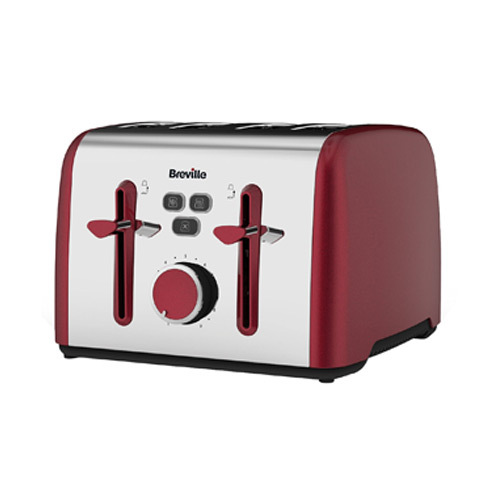 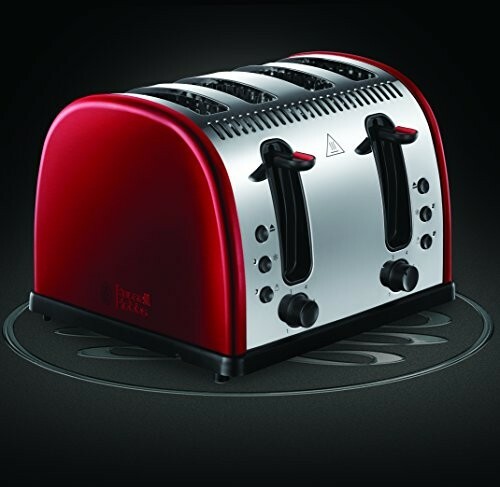 If you would like to view more red kitchen accessories or take a look at our full toaster category click the buttons below to find more high quality toasters in a range of colours.